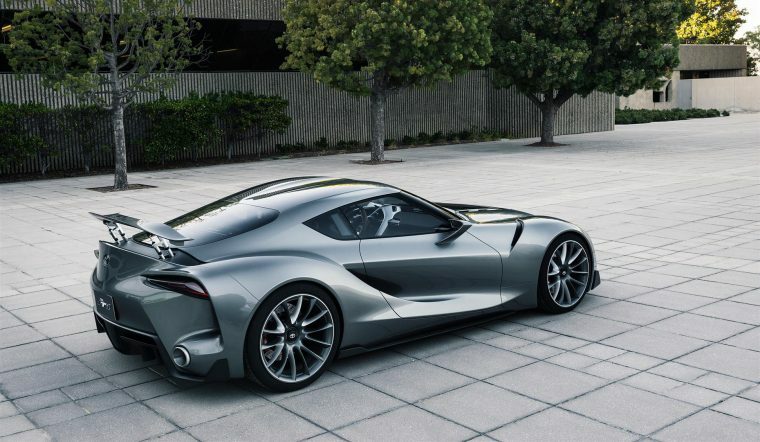 We’ve talked about the upcoming BMW-Toyota sports car a lot at The News Wheel already, and it seems that’s not about to stop any time soon because after a 14-year hiatus, it is almost all but confirmed that Toyota will be launching a successor to the popular Supra sports car within the next few years. The ever-watchful SupraMKV forum has spotted a new trademark filed by the Toyota Motor Corporation for—you’ve guessed it—the “Supra” name, registered at the Icelandic office of the European Union Intellectual Property Office. The trademark was filed on June 3, 2016, more than two years after Toyota did the same thing at the US Patent and Trademark Office. The revived sports car will be built as part of a collaborative effort between Toyota and BMW, which will use the same platform to manufacture the Z4 replacement. However, beyond the platform, we can expect the design and engine of the two cars to be totally unique, though at this point in time we still know precious little about either of their specifications. That being said, there’s good reason to believe the upcoming Japanese coupe’s style will be based on the FT-1 Concept that was revealed at the 2014 North American International Auto Show. The car will be built at a factory in Graz, Austria, by a shadow car company named Magna-Steyr. If all goes to plan, we can probably expect the Toyota Supra successor to finally go into production in 2018. Soon, friends. Soon.